Ajeets Management & Manpower Consultancy is an Global/International recruitment agency which aims to help international employers fulfill their Mechanical Workshop Recruitments. The use of structural steel in the industrial and commercial building construction is on the rise since the material has high strength, toughness, ductile and stiffness properties as well as superior constructability. There are numerous factories coming up in different parts of the world for structural steel and plate fabrication, leading to a wide range of lucrative managerial and technical job openings. Ajeets serves quite a few employers in this sector, located both in India and outside. We can give jobseekers the best career opportunity in the structural steel and plate fabrication industry. To represent the Company and enhance relationships in dealings with clients, consultants and regulatory authorities. To prepare the Work shop Fabrication execution plan for management review and approval and to achieve project objectives on budget and timely basis. To review contract documents and administer all issues related to the project in conjunction with the Operations Manager in accordance with Company's policies and procedures. To manage resources and expenses to achieve contract completion within budget and time frame. To ensure timely collection of payments from the Clients in accordance with contract conditions. To identify and ensure skills and training needs of assigned manpower are aligned to project requirements and support recruitment activities to source technically competent personnel for the fabrication activities. To review all the tenders and technical documentation, pricing for upcoming projects as required and finalise the tenders and pricing with the Operations Manager. 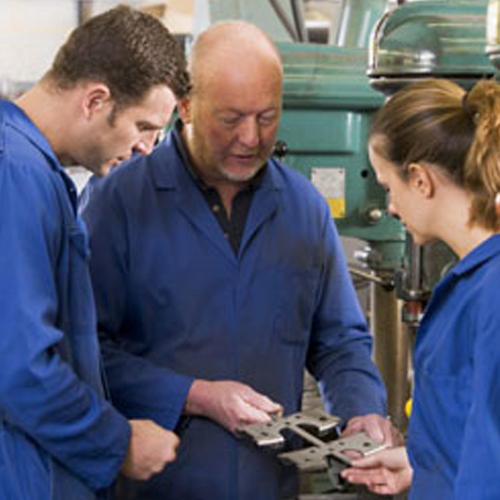 To lead the Work Shop fabrication team to ensure customer satisfaction & expectations are met. To identify the scope, additional works and technical revisions not covered in the contract, to enhance the project deliverables, customer satisfaction and improve company's revenue. Stiffener rings welding (on the shells) performed in semiautomatic welding. We are verifying if it is possible to implement automatic welding based on the welding machine capabilities. Erection circumferential welding performed in semiautomatic welding. Installation of the site workshop fabrication equipments. Workshop provided by Client. Fabrication of the steel liner (bending, fitting, welding, NDT controls and painting). Steel liner erection inside 2 existing bottom outlet tunnels. Attached site layout drawings showing site workshop and erection fronts location. Installation of 2 hydraulic cylinders for the existing radial gates.